You will surely get the answer by the end of this small read. I wish to call it the CFC combo, one need to have it in the right optimized level of each component of the three to taste success and fly high in life post his MBA. One joins MBA for a higher pay, one joins for a career shift and one to start or support his existing business; while there are a few who join MBA for the sake of boy/girlfriend! 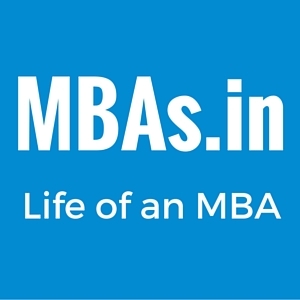 There is no set decree that one should join MBA only for a specific reason. At last even a person who does MBA for the sake of a degree on the wedding invitation can become successful in his life. MBA you are, successful you are. Have you ever been to a clothing outlet in a shopping complex!? If yes, what might be your observations like? Which dress to choose, which trousers to go with, which material is fine, the price tag and many more about the dresses there? Post MBA, you will start calculating the value, you will start observing the employees’ mannerisms, you will see the way the dresses have been arranged and more like. So, the P (price) to V (value) transformation in you is what I call the MBA you are. Price is the 295/- you see on the tag of a dress, value is the number of days you can use the dress for, the brand you are buying, the air-conditioning you enjoyed inside the showroom, the service at the counter you received, the interiors of the store and many more like. The style of your thinking changes to a fabulous mode once you start pursuing a career in MBA. If one says you needn’t be rich to be happy, I wish to tell that you needn’t be rich to be successful. You should be passionate about MBA rather than ambitious. Business Consultant. Love for Food and Passion. Dream to startup. Good Article.Would like to share my thoughts — While MBA definately adds value to one’s resume, and to some extent change the way you see things,I’ve seen MBAs who went on to become mediocre achievers and lacked the drive, While some Non-MBAs have made it to the Top with Grit and passion for what they do and with the Mission to give their Job a “Career”. Some exceptions to MBA -Rules– MBA for Ladies. They do MBA to work as HR Executive for sometime and become full-fledged Housewives.If their idea was to quit everything to become housewives, where does the idea of “MBA changes the way you perceive things” go? And the time,effort and ofcourse the money spent, in most cases, by parents, went down the drains. If you want to be successful, you will be. You don’t need an MBA to define “Success”. Good Article. A Good Read. Hi I am a B. Tech professional and working as a Graphic designer in a e learning company India. I have total 5 years of experience in this field and now I feel like having a change in my “Career”. I want choose a career field as a project manager, or some managing related field. Will MBA help me to change my career? if so ,Regular or distant? Gokulnath – DO NOT anticipate that just by adding MBA degree you’ll get the job or project manager as this is not a pre-requisite for any PM job. PMP or other project mgt certification may help to some extent. Also, DO NOT go with job title, e.g. – in an established company like Agilent, IBM, HP, Oracle, you may find many professionals with 15-20 years of experince but still not a manager whereas, in smaller company you may even get job title of director with just 7-10 yrs experience. I’ve seen many people with job title as manager, while they are single member of their team and working as individual contributor. DO NOT ger lured just by fancy job titles. Thanks for Sharing your good knowledge with People. Next story When should you think twice before joining IIM A?